The journey from Penang in Malaysia to koh Phangan can be done in many different ways depending on your time and budget. Firstly, while you are in Penang make sure you eat as many tandoori and curries as possible as there are some sensational curry houses to suit all budgets there. After you have finished eating and enjoying everything Penang has to offer your journey then begins to our beautiful island of koh Phangan. The way from Penang to Koh Phangan requires going through some stages if you are traveling over land. - Penang to Hat Yai - This journey involves passing through the border control where you have your documents checked by immigration. - Hat Yai to Donsak (Surat Thani) - This gets you to the Ferry port near Surat Thani. 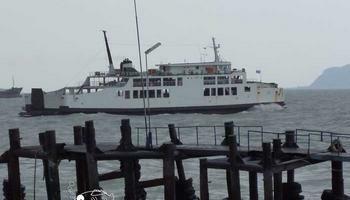 - Donsak to Koh Phangan - Taking one of the ferries to Koh Phangan's Thong Sala pier. Penang to Hat Yai when traveling by minibus. 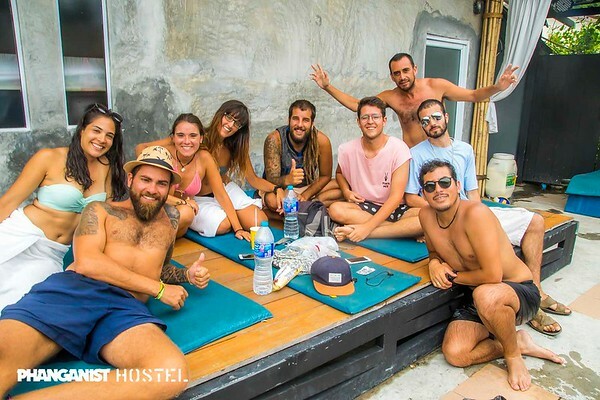 One example of the bus services which Phanganist people have used is where you can easily buy tickets at all the travel agents on Penang who are very popular with people traveling straight to Koh Phangan. One instance is that your air conditioned minibus will pick you up at your specified location on Penang, which will usually be outside the travel agent where you have booked your ticket. This Minibus will take you to the Malaysian Thai border where you disembark and walk through the Malaysian immigration where you get your exit stamp (this takes literally 2 minutes). You then get back on your bus and have the option of stopping and purchasing duty-free booze and cigarettes or other items available at the usual duty free stores. You then reach the Thai border and this is where the process takes a while to get through depending on the time of day ,so be prepared to maybe queue for a short while. You can get a 30 day visa on arrival here but we fully recommend that you already sort your visa out while in Penang as it will save you lots of time and waiting at the border. Once you are through immigration it's back on your mini bus which will take you to Hat Yai bus station where there will be a small wait for the public bus to take you to Donsak - There is some amazing fried chicken and soup stalls outside the bus station serving great food while you wait and they really look after you there with ice water and coconut cakes for desert. Once you have got on the bus to Donsak then you will arrive at the port and it usually means you have to wait a small while for the ferry to leave. 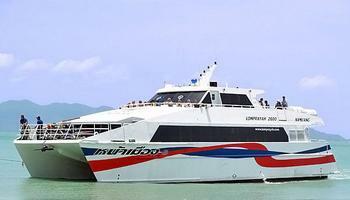 Once you are on the ferry you will be on the last leg of your journey to Koh Phangan and the Raja ferry is very comfortable and you have time for a sleep or something to eat from the grocery store. Then you arrive on Koh Phangan and you have made it from Penang, the cheapest way possible and it makes it all worth it once you arrive. After you arrive at the port of Thong Sala you will then need to pay for a taxi or bus to your resort or hotel as this is not included in the price you paid for your ticket in Penang. Another popular way is a private minibus that can be arranged from Penang to Donsak pier if you are traveling with a group of people and the prices are always negotiable. This will take you direct to Donsak Pier without changing buses and may be more comfortable than the public buses but obviously more expensive. Another way of getting from Penang to Koh Phangan is you can fly from Penang Airport to Surat Thani but this will involve a stop off in Kuala Lumpur for a few hours. Or if you have the time you can stay a couple of days in KL which is a fantastic city and great for food and shopping. When you get to the airport at Surat Thani you will need to get to the ferry port at Donsak and again there are lots of travel agents who can help you with this and you will find there are lots of people buying tickets for the same journey and its a good time to have a chat and share travel stories of your travels. This will fly direct to Koh Samui and the flight time is one and half hours. There is a 1 hour time difference dont forget. 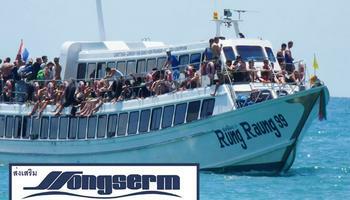 Once you get to Koh Samui there will be no shortage of travel agents who will be able to get you on a bus and then on the ferry to Koh Phangan. There are not flights every day but only on 2 or 3 days per week but we have an example of the flight times but check the attached link for the confirmed flight schedule. Please check more details about Firefly on our site. So there it is folks we hope this helps you on your journey from Penang to the gorgeous Koh Phangan whether it be by land, sea or air.